Government officials stationed at the U.S.-Mexico border are now seeing an alarming surge in infectious disease among migrants. Reports indicate they are referring upwards of 50 people a day for urgent medical care, including cases of flu and tuberculosis. Most of these cases are children, and nearly a third of the sick are children under the age of five. At the border, authorities say that this wave of illness is unlike anything they’ve ever seen before. The report is the result of a massive investigation, which was launched after two illegal immigrant children died in U.S. hospitals in December 2018. As the data shows, dozens of sickly children are turning up at the border on a daily basis. Officials conducted a full review of every child in the custody of Customs and Border Patrol (CBP). CBP Commissioner Kevin McAleenan has stated that most of the sick children were unwell when they entered the United States. “Many were ill before they departed their homes,” he said. “We’re talking about cases of pneumonia, tuberculosis, parasites. These are not things that developed urgently in a matter of days,” the commissioner continued. In many cases, the Washington Times reports, the parents of these children are hoping to use their kids to avoid deportation. In addition to the surge in sickness, federal agents also report there’s a new trend of smuggling operations using commercial buses to hasten the transport of illegal immigrants from Central America to the U.S. With the ability to cross the border in just a week, McAleenan says it is now much easier for sick people to come. He added that the faster trip also gives “confidence for parents to bring younger children.” Coupled with a 2015 ruling from an Obama-appointed judge that forces the government to either separate parents and children or release them, it’s no surprise that there’s been another tremendous uptick in illegal immigration. During the 2014 surge of unaccompanied minors at the border, authorities noted an increase in communicable illnesses like chicken pox. It is sadly not surprising that the current influx in illegal immigration is also corresponding to a tidal wave of illness. As liberal states like California adopt increasingly expansive policies to not only shelter illegal immigrants, but also provide them with healthcare and other benefits, it should surprise no one that thousands of people from Central America are now trying to cross the border by any means possible. Recall the caravan of illegal migrants from Honduras, Guatemala and El Salvador, who traveled some 2,500 miles to attempt to cross the border into California. Over 100 were deported by Mexico, for trying to cross the border “violently.” U.S. officials report that hundreds of migrants tried to storm the border and assaulted several border patrol agents in the process. These people would not be so aggressively trying to invade the country if they didn’t think they’d get something out of it — and liberal sanctuary cities are promising them the world. According to reports, it is not uncommon for children to be used as pawns by parents who are hoping that having a kid with them will preclude them from deportation. While the liberal left loves to whinge about vaccination rates here in America and insist that unvaccinated kids are enemies of public health, no such rhetoric is present when liberals are discussing illegal immigration. While the Left may pretend to care about infectious disease and public health, it seems toeing the party line and keeping Big Pharma happy are the real priorities. 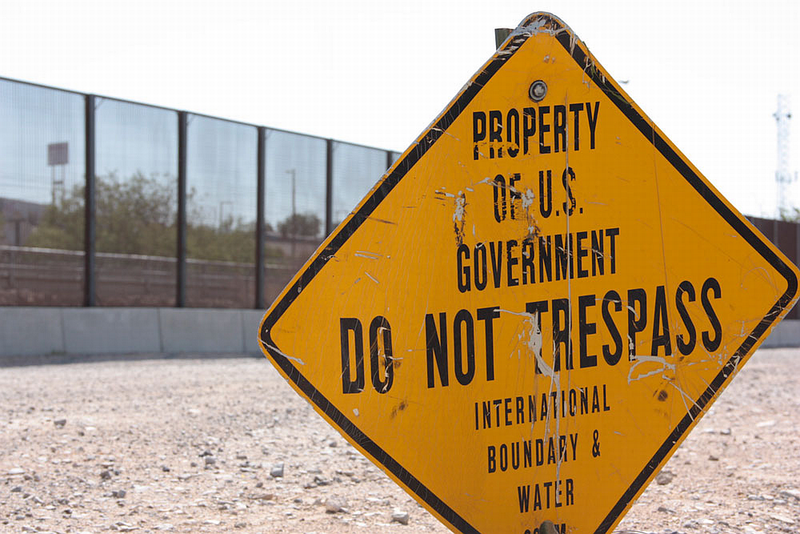 See more coverage of the latest news from the border at OpenBorders.news.